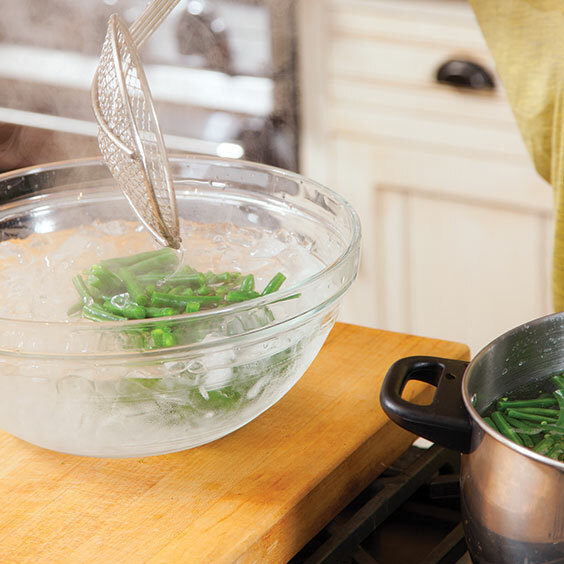 Chances are you’ve done your share of blanching and steaming already, but following Paula’s steps for these techniques ensures the perfect combo of crisp and tender, every time. 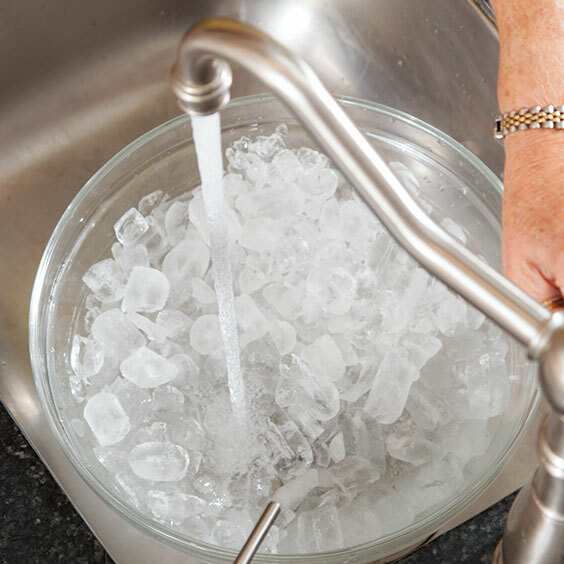 STEP 1: Prepare an ice water bath, which is just a large bowl filled with ice and water. STEP 2: Bring a large saucepan or Dutch oven to a boil. 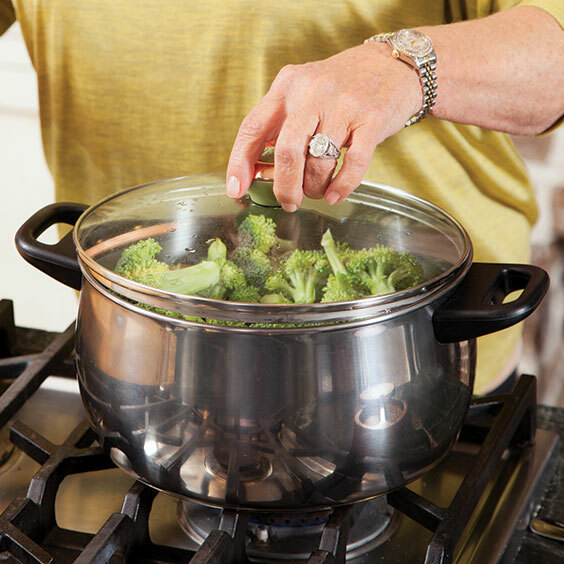 Use a pot big enough so that when you add vegetables, the pan isn’t crowded. Start timing as soon as the vegetables are in the boiling water because blanching can take as little as 1 minute. STEP 3: Use a skimmer or slotted spoon to immediately transfer the brightly colored vegetables from the pot to the ice water bath. 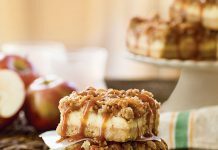 This stops the veggies from cooking any further. 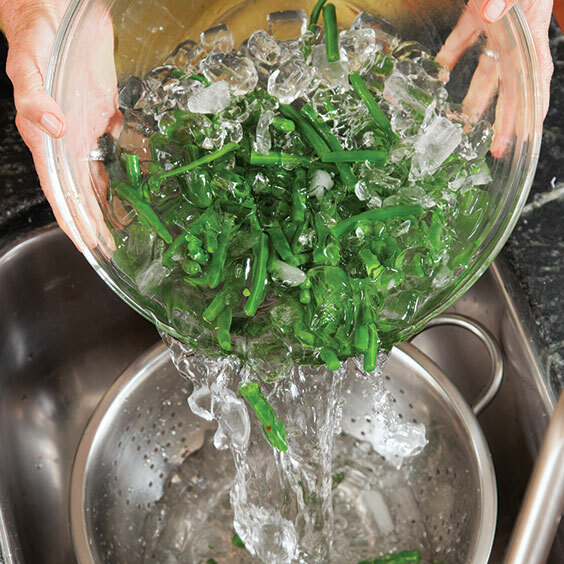 STEP 4: When the vegetables are cold, drain them in a colander, making sure to discard any ice. 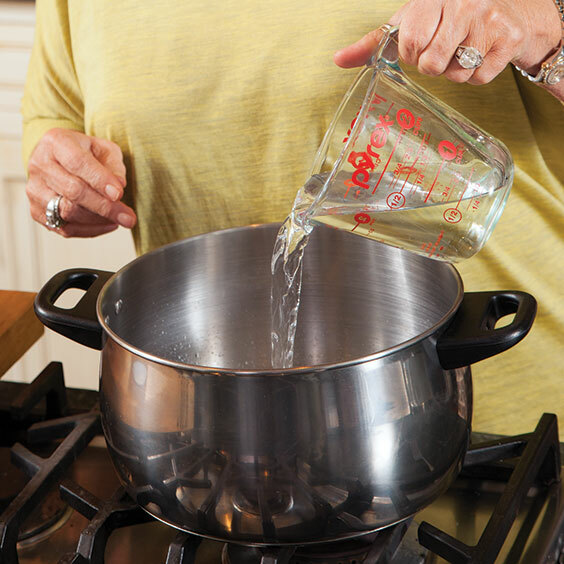 STEP 1: Fill a large saucepan or Dutch oven with water to a depth of 1 to 2 inches. Add an empty steamer basket to check the clearance. 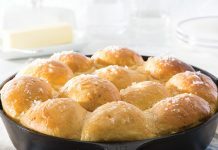 You want no less than ½ inch of space between the water and the bottom of the steamer basket. 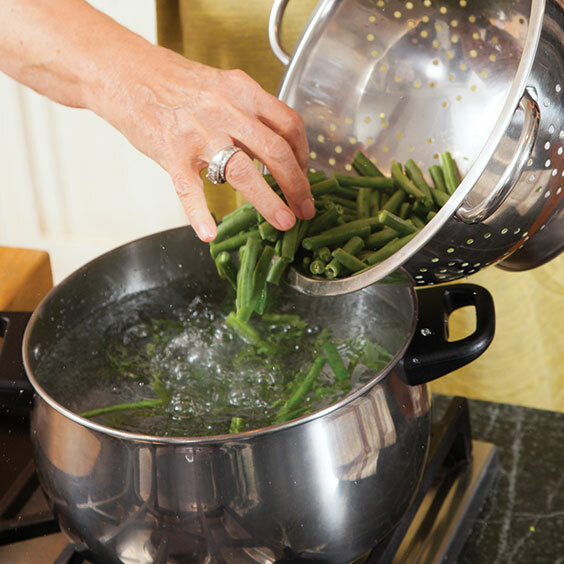 STEP 2: Bring water to a boil, and add veggies to steamer basket. Cover immediately, and start timing. 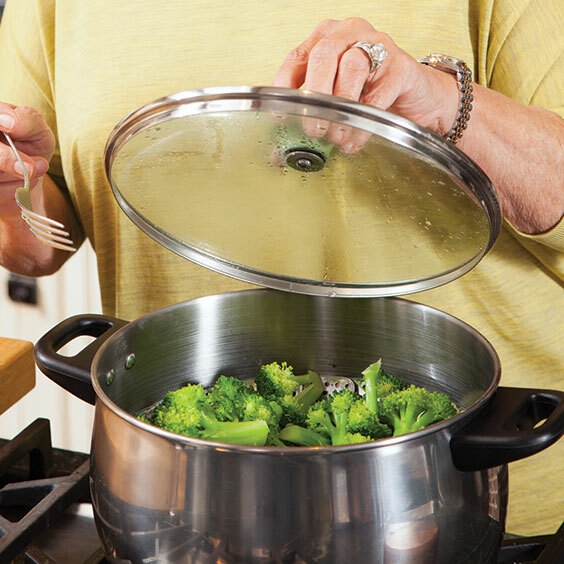 STEP 3: When checking vegetables for doneness, remove the lid of the pot away from you so steam is directed away from your body. 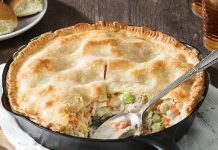 Test vegetables for doneness by piercing them with the tines of a fork. 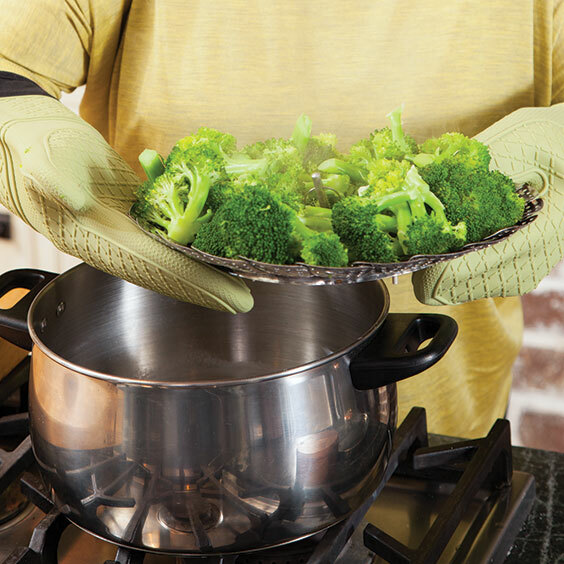 STEP 4: A silicone oven mitt is best for removing the steamer basket filled with hot vegetables because it’s waterproof and heat resistant.